owners, and enthusiasts of New York State." 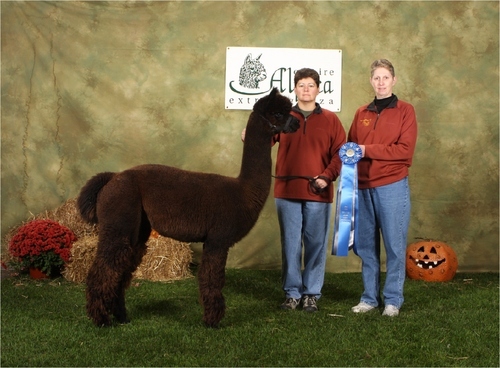 "Promoting, educating and supporting the alpaca breeders, owners, and enthusiasts of New York State." Our farm is nestled in the hills of south central New York. Although we are only three miles off a major highway, our beautiful log cabin sets peacefully on 18.5 acres. How quickly the years have flown by since starting in the alpaca business. Our knowledge grows everyday, and we find ourselves hardly being able to stay away from the barn during our free time. Shearing is right around the corner and as we all know as the grass turns green and the flowers begin to bloom our favorite time of the year is upon us, CRIA SEASON! Like every year, we anxiously await the birth of our summer cria. Log Cabin Alpacas hopefully look forward to another year of wonderful suprises and beautiful cria. Log Cabin Alpacas are expecting 5 babies this summer. 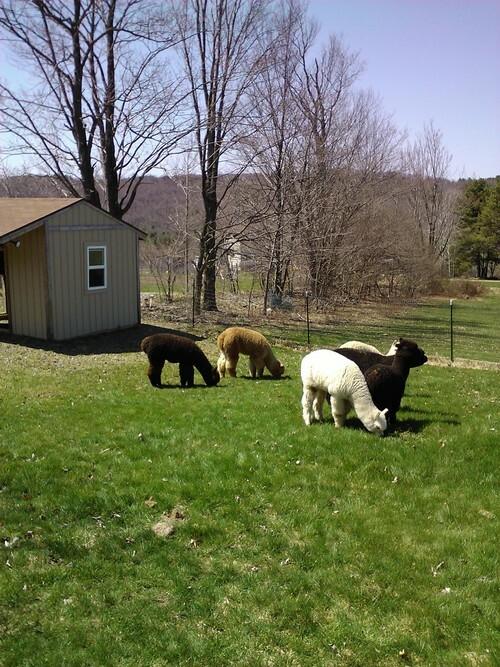 Although, Log Cabin Alpacas is a small farm it has big lineage. All of our girls have been bred to top notch herdsires. We look forward to an amazing group of cria, our first cria is due first of June. Farm visits are always welcome. We are more than happy to show off our alpacas and farm. 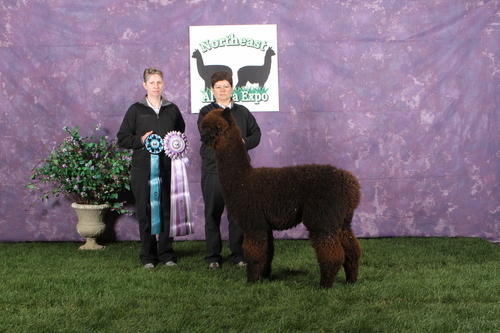 We are always proud to show off and talk about our alpacas. We are honest open people that will take the time to answer your questions and address your concerns. No question is too silly or too simple, we probably had the same questions when we started and we find ourselves are still asking questions. 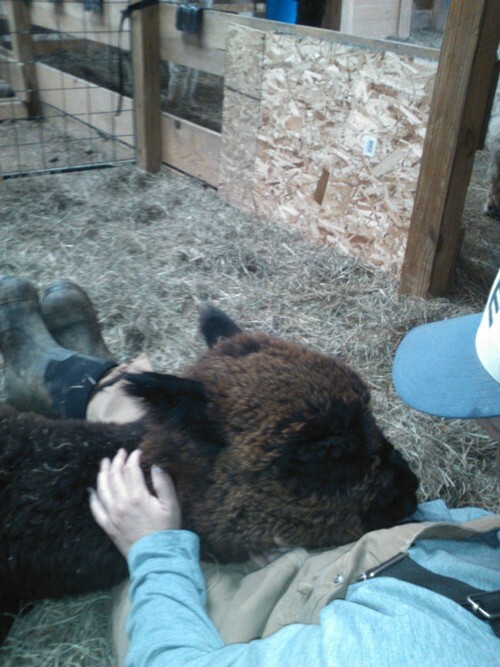 Log Cabin Alpacas is ready to help you experience the love of alpaca farming. READY TO SELL It is finally time to start saying good-bye to some of our beautiful alpacas and send them to new homes, new owners, and new adventures at your farm. We have a diverse selection of high quality alpacas, in a variety of colors, as well as some amazing herdsires waiting for a little action. Our boys are creatring some amazing award winning cria. We are also offering 1/2 and 1/4 ownership of our beautiful herdsires. We are willing to work with you, to make a package that accommodates your needs and your pocketbook. Six months free board with any alpaca purchase. Packages and financing are available, just ask. AGISTING/BOARDING Log Cabin Alpacas offers agisting at our beautiful secure farm. Your alpacas will live in a clean, beautiful, large, open space with spacious overhangs. We throughly clean our barns and pastures twice a day. We would love to have your alpacas become part of our farm family. This was our first time attending the North American Show, and we were not disappointed. We started the show with Mazie taking the 1st place Blue Ribbon in True Black Juvie Female! A few minutes later her brothers, Gus and Tribute, placed 2nd and 5th in the True Black Juvie Male class. We finished the show with Zebulon placing 6th in Yearling Dark Fawn Male, and Amari placing 5th in Juvie Light Fawn Female. The Northeast Show started off a carbon copy of the North American Show with Mazie taking the 1st place Blue Ribbon, but this time she also took the Reserve Color Champion! Not to be out done Tribute place 2nd and Gus placed 5th in the male class. Zebulon placed a strong 3rd and Amari placed and amazing 4th in a loaded class with big farms. Content copyright © Empire Alpaca Association and it's respective members.